IT firms have spent over Rs 5,091 crore in corporate social spending between 2014 and 2017, said Sattva, a startup that looks at data to measure social impact by companies. Tata Consultancy Services led the spending with over Rs 1,091 crore in the period. The government mandates that firms should spend at least 2% of their average net profits made in the preceding three years on CSR. The trend, in terms of geography of spend by IT services firms, differs from the overall trend. 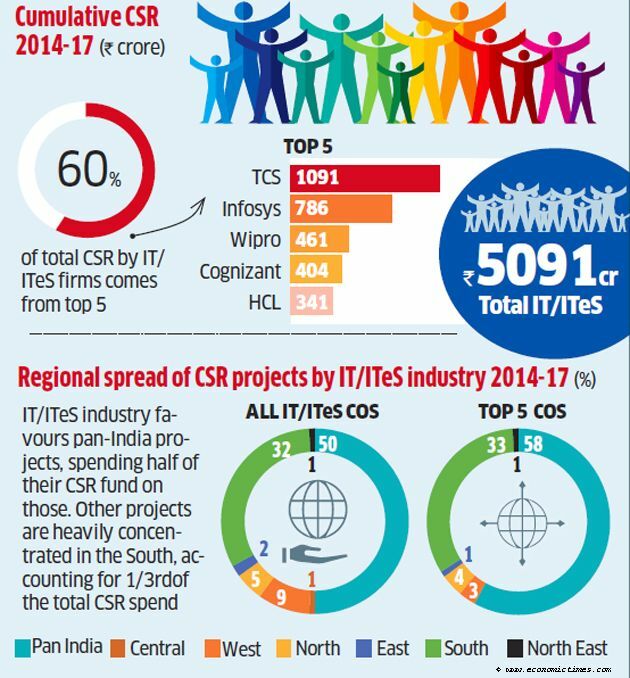 After pan-India projects, which is the highest in every category (in case of IT firms accounts for half their CSR), overall CSR spend by corporates is concentrated in the Western region. In case of IT firms it’s concentrated in the South (1/3rd of their CSR). 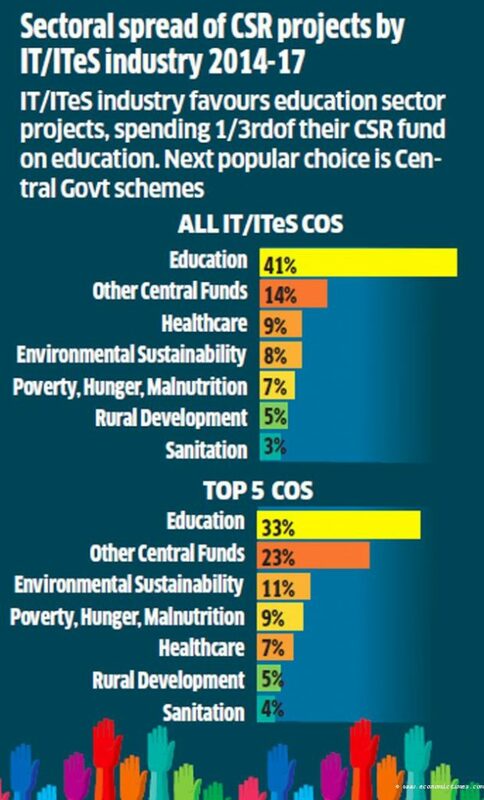 Education is the most favoured choice of Indian IT companies, followed by central government schemes that get about 14% of CSR money. In the category of ‘startups’ (tech/innovation, etc), Sattva found only Chennai-headquartered Zoho Corporation contributing any significant sum to CSR. Zoho has reported CSR spend of Rs 25.5 crore on Zoho University.